We all know there are medical factors that can prevent people from diving. Epilepsy, various heart conditions, loss of consciousness, pneumothorax, some chronic diseases and even some forms of anxiety can spell trouble that may be incompatible with diving. But over the years, the list of contraindications has narrowed, allowing more to enjoy exploration of the underwater world. One condition that has prevented some people from becoming divers is diabetes. Diabetes affects the body’s ability to produce or respond to insulin — a hormone controlling the metabolism of carbohydrates. The result is abnormal carbohydrate metabolism leading to elevated glucose levels in the blood and urine. While this might sound innocuous, the long-term effects of diabetes are dead serious. Diabetes takes more lives than AIDS (acquired immunodeficiency syndrome) and breast cancer combined, claiming one American life every three minutes. Diabetes is a leading cause of blindness, kidney failure, amputations, heart failure and stroke. What’s more, the incidence of diabetes is growing. According to diabetesresearch.org, the number of reported cases of people living with diabetes has jumped nearly 50 percent in the past decade and it now affects more than 29 million Americans. On a global scale, diabetes afflicts more than 380 million people, and the World Health Organization estimates that by 2030, the number of people living with diabetes will more than double. Clearly, diabetes is a growing health risk and one that could affect our ability to dive safely. But, at least for some, the door has been opened for scuba diving with diabetes — that is, if the proper conditions are met and the proper protocols are followed. Diabetes is categorized into two primary types, referred to as Type 1 and Type 2. In those with Type 1 diabetes, the pancreas does not produce insulin or it produces insufficient insulin to meet the body’s needs. Individuals with Type 1 diabetes must receive insulin injections regularly in order to metabolize blood glucose (blood sugar). In the more common Type 2 diabetes, the body may not produce enough insulin or the insulin does not trigger the cells to allow proper metabolism of glucose. Type 1 and Type 2 diabetes are the most common forms of the disease but other forms exist. Many individuals are also diagnosed with pre-diabetes, a condition in which blood sugar is high but not significantly enough to warrant treatment. Unless changes are made to diet and exercise, those with pre-diabetes are likely to join the ranks of individuals diagnosed with diabetes. To understand the effects of diabetes, we need to have an understanding of some basic human biology. In a normally functioning body, a number of metabolic reactions occur in response to eating. First, the digestion process in the stomach breaks the food down into glucose (a form of sugar), which enters the blood stream and is transported to cells throughout the body. The hormone insulin is secreted by the pancreas, which triggers the cells to allow glucose to enter. Through a process called glycolysis, the glucose is broken down in the production of a molecule called ATP (adenosine triphosphate), which is the source of energy in the cell. Also in response to eating, the cells also synthesize and story fatty acids and proteins. These are all critical functions for a normal, healthy body. For the person with diabetes, this process simply does not work properly. Type I diabetes is actually an autoimmune condition. The immune system destroys the beta cells in the pancreas, which are responsible for the production of insulin. And without that insulin, glucose does not enter the cells and they run out of energy. For Type I diabetes, those affected must receive injections of insulin at the appropriate times to control blood glucose levels and allow cells to receive the needed glucose. Eating the right foods at the right time can also help control blood sugar by controlling how much glucose is produced through digestion. Other factors including exercise, stress and general health also affect the body’s need for insulin, so getting the correct timing and dosage for insulin injections can be a challenge. In Type 2 diabetes, the pancreas has a deficiency of beta cells that create insulin, making it unable to supply enough insulin to the body. In addition, insulin receptors at the cellular level may not respond properly to insulin, limiting the amount of glucose entering the cells and allowing blood glucose to remain elevated. Controlling diet is also important for those with Type 2 diabetes to prevent spikes in blood glucose. Medications are available to help maintain an appropriate low level of blood glucose. For some, additional medications may be available to increase insulin production by the pancreas. 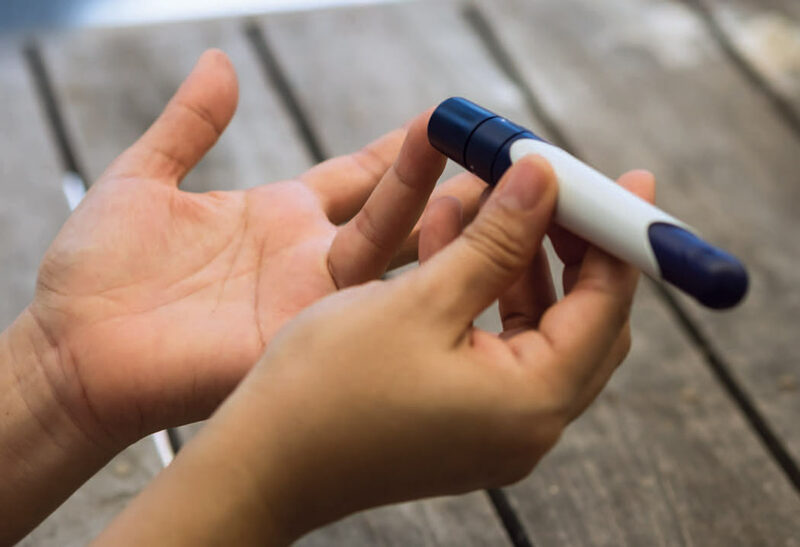 The factors that determine blood glucose levels fluctuate greatly throughout every day, so for a Type 1 diabetic, determining the proper dose of insulin to take can be a complex and sometimes delicate balancing act. Too much insulin means the body consumes too much glucose, which can drive blood glucose to a dangerously low level. This low blood glucose condition, referred to as hypoglycemia, can sometimes be fatal if prompt corrective action is not taken. With too little insulin, blood glucose can soar to dangerous levels while at the cellular level the body is starved of energy. This condition is referred to as hyperglycemia and it poses a risk of long-term complications. The goal, then, is to take the necessary steps to maintain a relatively constant blood glucose level as we eat and perform various activities throughout the day. One way that those challenged with diabetes can help avoid the spikes that can come, is to pay attention to what they eat and when they eat it. If such an individual doesn’t eat at the right time or eats too much of the wrong thing (or right thing) at the wrong time, the system can easily be thrown out of balance. In addition to proper eating and dietary habits, other natural remedies have also been widely used to help keep blood sugar levels in check. For example, Gymnema sylvestre is an herb used for centuries in India to help control blood glucose by stimulating pancreatic function. Numerous factors affect blood glucose levels, as well as overall health for all of us. These are of particular importance to those with pre-diabetes or diabetes. One factor that contributes to elevated blood glucose is stress. The stress hormone adrenaline increases blood glucose, releasing it into the blood to provide a needed boost of energy to meet the fight or flight needs. In a situation such as being chased by a shark, we would react physically by fighting or fleeing and that glucose would soon be used up. But what if instead we remain stationary? Many of us deal with stress on a daily basis, but we don’t deal with that stress by engaging in physical activity. Instead, we are forced to sit and deal with it. One result of that inaction can be elevated blood glucose levels. Cortisol is a hormone generated by the adrenal glands that can elevate blood glucose. Under conditions of high stress, cortisol provides the body with glucose by tapping into protein stored in the liver. This energy can help an individual in a fight or flight situation. However, if we’re constantly subjected to stress, the resulting chronic elevated cortisol can lead to increased blood glucose levels. To help reduce the effects of stress, we need to find ways to prevent or cope with it. Strategies include everything from exercise to nutrition, hydration, music and meditation. Sleep is not a luxury — it is a necessity that also has an impact on blood glucose. In fact, a chronic lack of sleep is another form of stress that can result in elevated blood glucose, according to an article in the December 2015 issue of Diabetes Therapy. The National Sleep Foundation recommends seven to nine hours of sleep every night to enjoy its restorative health effects. Another factor that can predispose individuals to Type 2 diabetes is a chronically low level of Vitamin D. A study reported in Scientific American in 2009, found that 45 percent of Americans are deficient in Vitamin D and more recent studies corroborate a rising trend in Vitamin D deficiencies. But here is the kicker: a Tufts-New England Medical Center study found that those who are chronically low on Vitamin D had a 46 percent increased risk of Type 2 diabetes. While the mechanism of Vitamin D with regards to diabetes is not crystal clear, researchers suspect that Vitamin D enhances the cells’ response to insulin. As it turns out, precautions against skin cancer may actually be depressing our levels of Vitamin D. In a 2009 Article in Scientific American, co-author Adit Ginde, an assistant professor at the University Of Colorado Denver School Of Medicine, reveals that using a sunscreen with as little as an SPF 15 reduces the skin’s Vitamin D production by 99 percent. As divers, we understand that hydration is a factor in decompression illness but it is also a factor when it comes to blood glucose levels. As fluid in our circulatory system is decreased due to dehydration, blood glucose becomes more concentrated. This causes an increase in urine production, which worsens the dehydration. The key message here is the importance of maintaining a healthy hydration level through consumption of water and other non-sugary beverages. Drinking water can reduce blood glucose, reduce insulin resistance and reduce hunger. If plain water isn’t enticing enough, try garnishing it with a citrus wedge, cucumber slice or fresh mint leaves. Exercise is a double-edged sword when it comes to those with diabetes. 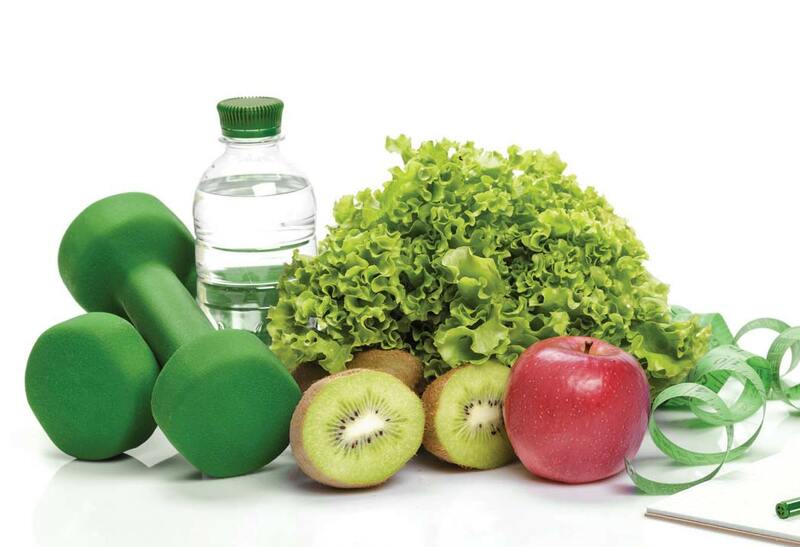 In general, exercise is an important ingredient in maintaining health for those with diabetes. But for those with Type 1 diabetes, some precautions are in order. Vigorous physical activity should be avoided when blood glucose level is too high (hyperglycemia) and insulin level is too low. Not surprisingly, this precaution is reflected in the diabetic diving protocols. While the long term effects of diabetes are daunting, the short term effects for a person with Type 1 diabetes can be downright frightening, especially if that individual should be underwater. The effects of hypoglycemia include confusion, blurred vision, impaired judgment, physical impairment, seizures and loss of consciousness. Such conditions are dangerous not only to a diver, but also the diver’s buddy. What’s more, if the symptoms aren’t recognized and properly treated, the diver could be in grave danger. At first blush, we might think that diabetes is an absolute contraindication to diving due to the risk of losing consciousness underwater. But according to the Divers Alert Network (DAN), individuals with diabetes who wish to dive, can dive safely in many cases. In fact, protocols for diving with diabetes have been around for more than a decade now. The caveat is that medical screening and safety protocols must be observed. According to DAN, the first step for the prospective diabetic diver is to undergo the same medical fitness evaluation as other candidates to ensure no other disqualifying conditions exist. These include such conditions as epilepsy, pulmonary disease, heart disease and others. A person who has advanced diabetes and suffers from secondary complications may also be excluded. Next, it must be determined that no complications of diabetes exist that may increase the risk of injury while diving. DAN’s guidelines also note that candidates should be 18 years or older (≥16 years if in special training program), with a well-established treatment history and the ability to maintain blood glucose levels efficiently throughout the course of changing demands of daily activities. Those who do not have the ability to control their diabetes (read more here) can be at risk and may not be good candidates for diving. 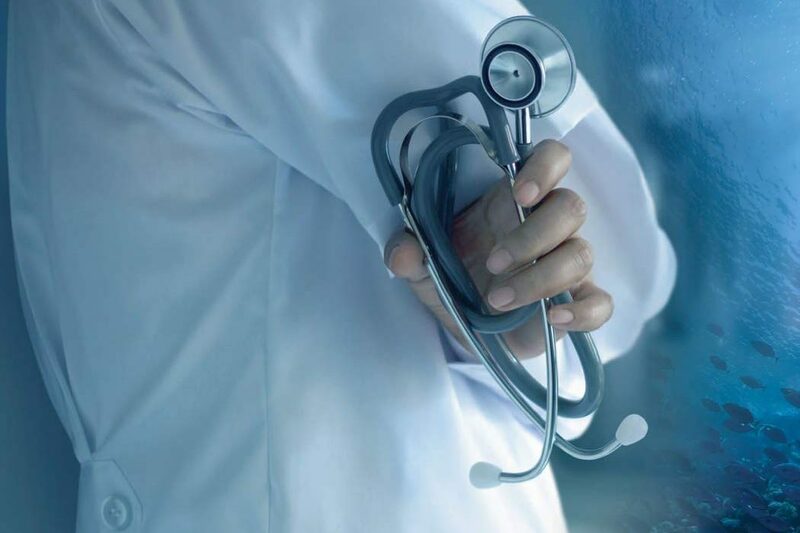 Candidates and divers with diabetes should undergo a mandatory annual medical examination and, if over age 40, should be regularly evaluated for silent cardiovascular disease. General precautions for diving with diabetes include limiting depth to 100 feet (30.5 m), limiting bottom time to one hour and not diving beyond the no-stop limits. It’s also recommended that diabetic divers buddy up with non-diabetic divers and that their buddy be aware of both their condition and the proper procedures to recognize and deal with a hypoglycemic episode. 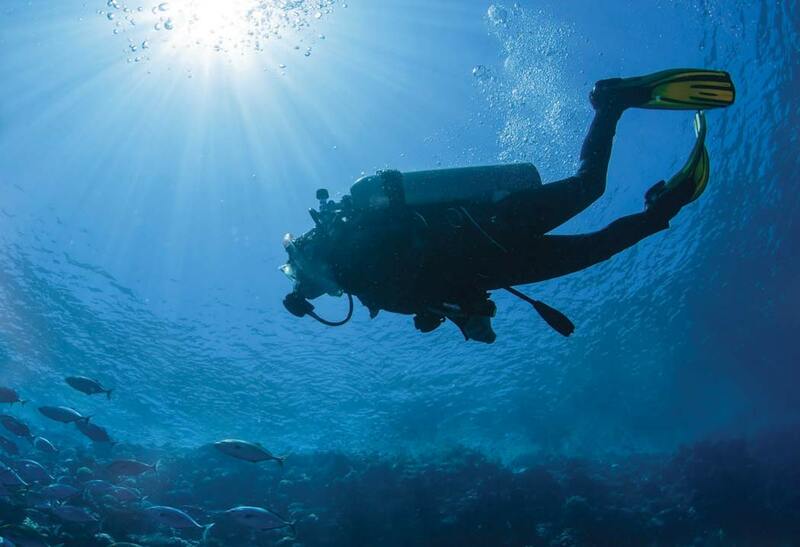 Since the primary risk comes when a diabetic diver experiences a low blood glucose condition, one key to safe diving is ensuring the blood glucose is at minimum safe level — and stable — at the beginning of a dive (see sidebar). The blood glucose must be high enough prior to starting a dive that the dive can be completed without experiencing an unsafe drop in blood glucose. Measuring blood glucose is quick and easy using one of the many blood glucose monitors available on the market today. Continuous glucose monitors (CGMs) are also available to help monitor blood glucose levels and trends. Good nutrition is important to everyone’s health and can help prevent the onset of such diseases as Diabetes. 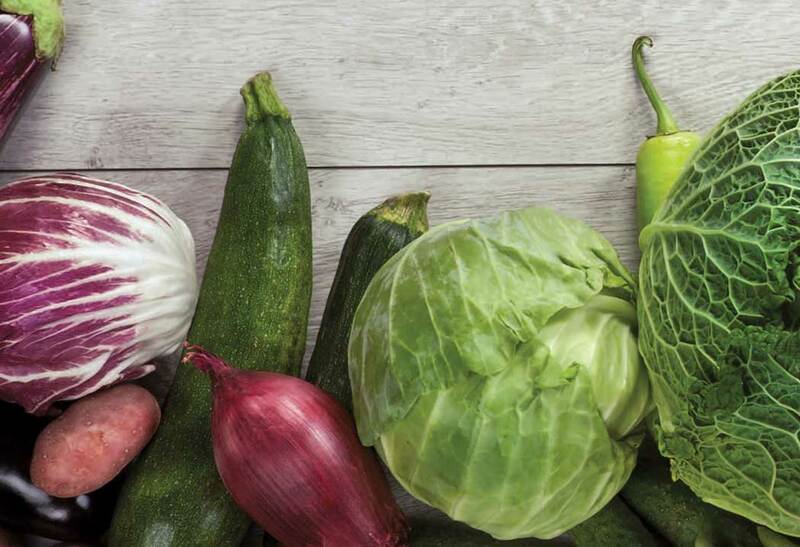 For those who suffer with Diabetes or pre-diabetes, staying healthy is, in part, a matter of making the right choices when it comes to dietary intake. Another factor that contributes to the rise in blood sugar is the quantity of food eaten. Eating smaller portions results in lower spikes in blood sugar. For those with pre-diabetes or Type 2 diabetes, simply eating smaller portions more frequently can improve the body’s ability to maintain blood sugars in the proper range. Choosing foods with a lower glycemic index and eating healthy portions, can help keep blood glucose in the normal range. One area of conflicting research centers on the effects of caffeine on blood glucose. A study published in the June 2016 issue of the European Journal of Nutrition found that the risk of developing Type 2 diabetes was reduced for healthy, regular coffee drinkers consuming three to four cups of coffee per day. However, previous evidence suggests that high doses of caffeine can cause blood glucose to spike. The Mayo Clinic suggests that consuming up to 400 milligrams (mg) of caffeine (about four 8-ounce cups of coffee) is safe for most people, but it can cause trouble (spikes or lows) for those with diabetes. Limiting caffeine intake is a likely a good strategy for improved health. Considering the health effects of Vitamin D, all divers should strive to maintain healthy levels of this vitamin. Many foods are Vitamin D-enhanced and may have a naturally high dose of Vitamin D. These include salmon, tuna, mackerel and vitamin D-fortified dairy products. Taking Vitamin D supplements is another health-wise strategy that could help maintain pancreatic function and help control blood glucose. The advice of nutritionists is to take Vitamin D3 with a meal that contains fat, since Vitamin D is fat-soluble and this enhances uptake. Foods rich in healthy fat include fish, nuts, avocado and olive oil. The more we learn about human physiology, health and the effects of the underwater environment, the better prepared we are to make safe adaptations to explore the underwater world. Unfortunately, not everyone can safely enjoy scuba diving, but for many of those with diabetes, the door has been opened with safe diving protocols based on solid scientific research. One way that diabetics can measure their ability to control the disease is with a hemoglobin A1C test, which provides a 90-day lookback at blood glucose levels and is a good indicator of how well blood glucose is being controlled. Most doctors will recommend that this test be performed at least twice a year. For diving, it may be suggested that the test results be within 30 percent of the normal range. Results that fall outside that range may indicate that better control of blood glucose is needed before a person undertakes underwater activities such as scuba diving. Also important to safety is the person’s ability to recognize the early warning signs of hypoglycemia. Divers with diabetes must have a clear insight into the relationship between diabetes and exercise and be able to recognize and respond properly when a low blood glucose situation is developing. Before entering the water, blood glucose (BG) must be stable or rising with a value greater than or equal to 150 mg dL-1 (8.3 mmol L-1). Divers should complete a minimum of three pre-dive BG tests — performed at 60 minutes, 30 minutes and immediately prior to diving — to evaluate BG trends. It is noted that alterations in the dosage of oral hypoglycemic agents (OHA) or insulin on the evening prior or day of diving may help. Divers should delay the dive if BG is less than 150 mg dL-1 (8.3 mmol L-1) or greater than 300 mg dL-1 (16.7 mmol L-1). Divers must carry readily accessible oral glucose during all dives and have parenteral glucagon available at the surface. If hypoglycemia is noticed underwater, the diver should surface (with buddy), establish positive buoyancy, ingest glucose and leave the water. Check blood sugar frequently for 12-15 hours after diving to ensure safe levels. In order to establish best practices for future diving, diabetic divers should log all dives and include BG test results and all information pertinent to diabetes management. For more information, contact DAN and consult your physician. * Divers Alert Network, Guidelines for Diabetes and Recreational Diving, Proceedings Summary | DAN/UHMS Diabetes and Recreational Diving Workshop. Also available from DAN: Pollock NW, Uguccioni DM, Dear GdeL, eds. Diabetes and recreational diving: guidelines for the future. Proceedings of the UHMS/DAN 2005 June 19 Workshop. Durham, NC: Divers Alert Network; 2005. Diabetic divers who display these symptoms should follow established protocols. This includes exchanging hand signals to identify the problem, ascending and stabilizing at the surface (both the affected diver and the buddy) and ingestion of carbohydrates by the affected diver. The divers terminate the dive and return to the boat or beach where a blood test is performed. Such events, along with blood glucose results and other details of the event, should be recorded for future reference. 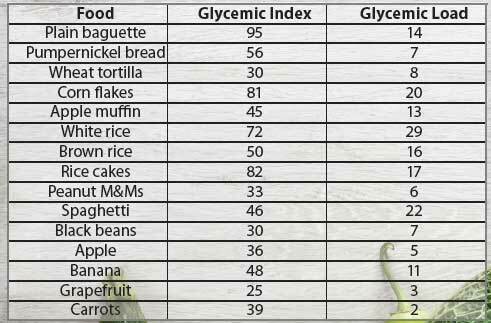 The glycemic index is a measure of how rapidly a food is converted into glucose through digestion. A high glycemic index means a food converts quickly. The glycemic load is a measure of the impact of a typical portion of the food on blood glucose, taking into account the typical portion size. The values shown in the table below are just a few examples to give you an idea of how foods affect blood glucose and some are quite surprising. As the data suggests, even minor adjustments to diet can have a large impact on blood glucose control. Numerous online sources are available to provide values for a broad spectrum of foods.